I am currently editing a SUPERB book on the long ending of Mark's Gospel (Mark 16:9–20). The author, Nicholas Lunn, argues that the long ending was not a later addition to the Gospel but was the original ending written by Mark. In this he is going against the majority view, but I can say that his case is not simply reasonable — it is knock-down brilliant! He demonstrates that the case for the long ending being original is highly probable. (Seriously — I am as surprised as you may be.) 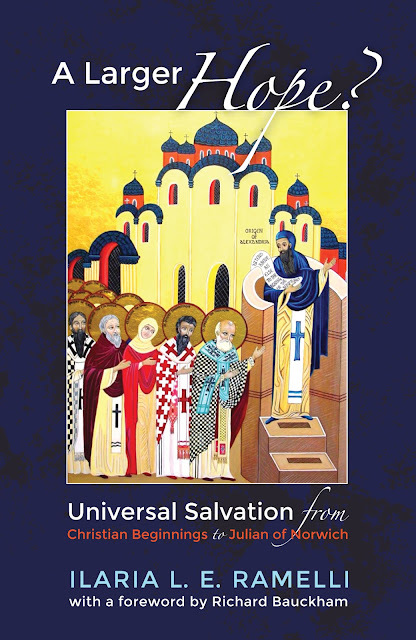 I think that after the publication of this book anyone who still wants to argue for the exclusion of 16:9–20 from the Gospel has an uphill struggle. Be that as it may, I just wanted to post a short comment he makes here about snake handling. It forms part of a discussion on new exodus imagery in Mark in general, and in 16:9–20 in particular. The comment on snake handling was interesting. I had never made the exodus connection before. Within this same context of belief both passages give a prominent place to “signs.” Moses is granted certain signs (σημεῖα, vv. 9, 17, 28, 30) to perform as a confirmation of his message. Jesus speaks of signs (Mark 16:17, σημεῖα) that will accompany those who believe, so “confirming the word” (v. 20). One of the signs given to Moses involved his staff turning into a snake (Exod 4:2–3), which he was then commanded to pick up (v. 4a). So Moses “stretched out his hand and took hold of it” (v. 4b), at which it reverted to a staff. Among the signs mentioned by Jesus an unusual one is that “they will pick up snakes” (Mark 16:18). At this point commentators typically direct their readers to the passage in Acts 28:3 where the apostle Paul was putting sticks on a fire and “a viper came out because of the heat, and fastened on his hand.” Yet it is evident that the Mosaic text forms a much closer parallel. Firstly, Paul does not actually pick up the snake, but rather it attaches itself to him. Secondly, the Greek word in Acts is ἔχιδνα (“viper”), whereas both Exodus 4:3 and Mark 16:18 contain the more general term ὄφις. Additionally, if the Markan variant “and with their hands” (καὶ ἐν ταῖς χερσὶν) is genuine, then the allusion to Exodus 4:4 (τὴν χεῖρα and ἐν τῇ χειρὶ) is even closer. Since Exodus 4 is the only other passage in scripture which expressly speaks of picking up a snake it is reasonable to suppose that the verse in Mark is alluding to this context, especially considering the similar subject matter of appearances, commissioning, belief, and signs. Wow! Very intriguing. Looking forward to this book and to hearing Lunn's entire case. Well knock me down with a snake! I would be interested in seeing the argument and you might summarize it for a wider population in due course. Too many people follow theological fashion rather than think critically about the evidence and evaluate the scholarly research. I think you now owe it your readers to devote a blog to wrestling with the liturgical implications of this theory. Maybe the term "Anglican snake-handler" can soon cease to be an oxymoron? We wait with bated breath. At least none of them raise their hands. Not since Eden at any rate. v. 11, 14, Can we believe that disciples who allegedly saw Jesus work genuinely supernatural miracles for 3 years prior, reacted to the first eyewitnesses and the empty tomb with such obstinate skepticism? Yes, this is also a problem in other gospels. v. 17 curiously doesn’t qualify which believers shall speak on tongues. If we read Mark objectively without concern for whether he can be “harmonized” with something else in the canon…would we ever get the idea that he felt some or most believers would NOT speak in tongues? Is Lunn a Pentecostal? v. 18 sets forth the picking up of serpents as one of the “signs” in addition to casting out demons and speaking with new tongues. If we read this objectively without worrying how to “harmonize” it with something else in the canon, isn’t Mark describing the snake-handling in the same context as the other signs (i.e., the signs are performed deliberately, by choice)? The only contextual basis for delimiting anything is the “if” in “if they drink any deadly thing…” which follows, but since that’s the only “if”, it would appear the hypothetical applies solely to the drinking of a deadly liquid, not to the exorcisms, speaking in tongues, or snake-handling. V. 20 does not limit the miracle-working abilities to the apostles, it simply says signs confirming the truth of the preached word followed them. That is hardly sufficient to justify concluding Mark surely wanted the reader to infer that only the earliest generation of Christians would perform such signs. Does Lunn identify with Christian “snake-handlers”? v. 18, how does Lunn justify inserting a qualification into the unqualified “they will lay hands on the sick, and they shall recover…” Does Lunn explain the inability of nearly all Christians to do this, by theorizing that most Christians aren’t true disciples? v. 19, If we read Mark on its own, without worrying about how his statements might harmonize with something else in the canon, doesn’t he give the impression that Jesus ascended on the same day he resurrected? Why should we think the originally intended readers of Mark (i.e., the church at Rome, having his gospel for years before they ever got hold of another one) would have eisogeted a period of many days into Mark to separate the resurrection from the ascension?